One of the dangers facing animals each year is accidental poisoning by antifreeze. The numbers of antifreeze poisoning animal victims escalates in the spring and fall when vehicle owners perform cooling system maintenance and flushing. An estimated 10,000 dogs and cats are poisoned annually from just a few licks. Contrary to belief, animals do not have to drink much antifreeze to suffer from the poison or antifreeze toxicity. 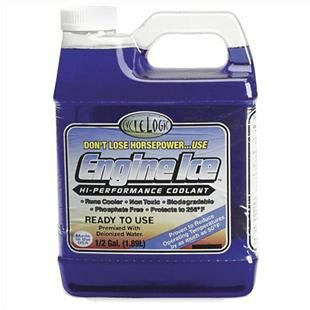 Most brands of commercial antifreeze contain at ethylene glycol, an extremely toxic chemical and as little as 1-2 teaspoons can be lethal to small animals. Wildlife suffers from antifreeze poisoning too. Probably the most well known antifreeze toxicity incident was the 1992 death of an endangered California condor. Ethylene glycol antifreeze that has been spilled, leaked, or carelessly disposed of is responsible for the needless suffering and death of all types of animals. High risk animals include pets that are allowed to roam free and dogs that are confined in garages without adequate amounts of fresh drinking water. In the past an odd source of antifreeze was the decorative “snow globes.” The snow globe liquid included antifreeze and was very toxic. If you bring such toys or décor into the home it is best to check the ingredients and keep them safely stored. Early signs of antifreeze poisoning often mimic other illnesses but lab tests performed by your veterinarian onsite at the clinic can result in a diagnosis of antifreeze toxicity. 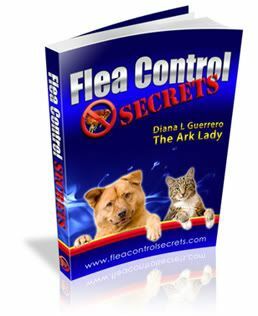 Problems escalate if the pet does not get help and the liver begins metabolizing the ethylene glycol. If untreated, central nervous system damage can occur within a short time and death may result from kidney failure. So, getting pets to a veterinarian is critical within a short time following the suspected ingestion of antifreeze. Immediate veterinary assistance is the only thing that will save your pet from antifreeze toxicity. Inducing vomiting and giving your dog activated charcoal to absorb some of the antifreeze that is in the animal’s system will help reduce the poison in the system. Be sure to take any vomited fluids with you to the vet. Also use caution and keep other animals secluded away from any vomited fluids because ingestion can result in multiple antifreeze toxicity cases. A hydrogen peroxide solution of one teaspoon per five pounds of body weight — with no more than three teaspoons given at once can be used to induce vomiting. A veterinarian will induce vomiting and use activated charcoal if you haven’t already. In addition he or she will most likely use a catheter to start intravenous fluids. Additional treatment and drug therapy will depend on the progression of the antifreeze toxicity. Fortunately there are less toxic alternatives to ethylene glycol now on the market. The antifreeze containing propylene glycol is the safer alternative and is apparently less appealing (less tasty) to animals. Propylene glycol, although not entirely nontoxic, is considerably less toxic than ethylene glycol and has been reported to affect the central nervous system but not the kidneys. Tufts Veterinary Newsletter reported that a medium-sized dog would have to ingest about 20 ounces of propylene glycol before getting seriously ill. This is in contrast to the mere two ounces of ethylene glycol that can kill a pet. However, if a large amounts are ingested it could still be toxic. The best way to prevent antifreeze poisoning is to keep all antifreeze locked up and stored securely. If you discover a leak or antifreeze spill, clean it up immediately. Use cat litter to absorb most of the liquid and then follow up by mopping the area with rags—dispose of both safely. Finally, rinse the area of the spill thoroughly with water. Never pour used antifreeze down storm drains, sinks, toilets or on the ground. 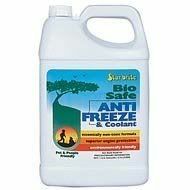 Antifreeze is biodegradable but some formulas take longer to degrade. Get more information about recycling anti freeze in California. Feel free to share any of your tips or hints in the comments below. Dogster also has a short post on this topic with a long list of comments.